Yesterday was supposed to be a big day on my round the world adventure. It certainly started that way and it ain’t over yet. As is our custom at Gaia Oasis, we wake up before dawn, grab some coffee and head out to the beach to watch the sunrise over the Bali Sea. Every sunrise is different and every one is spectacular. There’s usually some clouds over the ocean to the east, so the first thing you see is a warm glow behind them. As the sky brightens, you notice that the clouds appear to meet the sea seamlessly, and you assume that the first glimpse of the sun over the horizon will be obscured. At 0630 or so, the sun suddenly appears as a fiery sliver and you can enjoy a few minutes of pure unfiltered sunrise until the sun is masked by the clouds. The show continues, however, now with the full intensity of the sun providing a backlight to the clouds. After packing and breakfast, our friend Wayan picked us up and we drove south past the volcano for lunch in Ubud. Kathryn and the kids got to do some last minute shopping and then we were off to the airport for the start of my long journey to Spain and the Camino de Santiago. It was hard to say goodbye to the Furious Five, as we called ourselves (I am the monkey). It had really been a wonderfully mellow end to my stay in Bali. After a non eventful flight to Jakarta, I had over four hours to chill before my long flight to Doha. 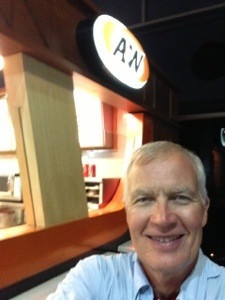 I spent the time enjoying America’s finest export – fast food. I was still hopeful however, and the agent escorted me and my paperwork over to the manger’s desk. By this time over an hour has passed since I got in line and I checked my watch. One hour to takeoff. Still time to work this out and make the flight. The manager’s desk was a beehive of activity as agents came and went with piles of paper and requests for help with special cases they couldn’t solve themselves. Was my case special? Apparently not. I watched the time tick away as the manager waited on other people. Behind me, the checkin line withered to nothing. I looked at my watch. 30 minutes to takeoff. If something was going to happen, it better happen soon. Finally I get the answer to my problem and it wasn’t pretty. Since I didn’t have the credit card used to purchase the ticket, I could not get on the plane. 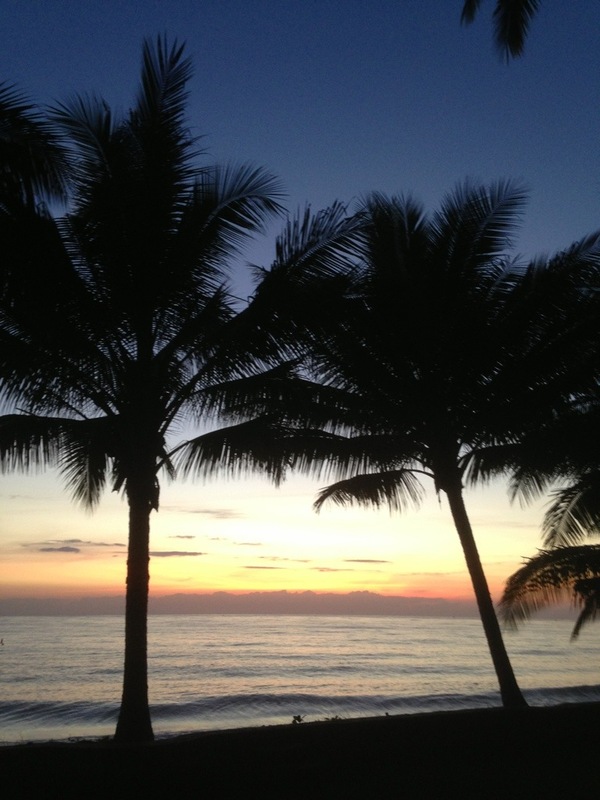 This entry was posted in Bali by rambler1959. Bookmark the permalink.